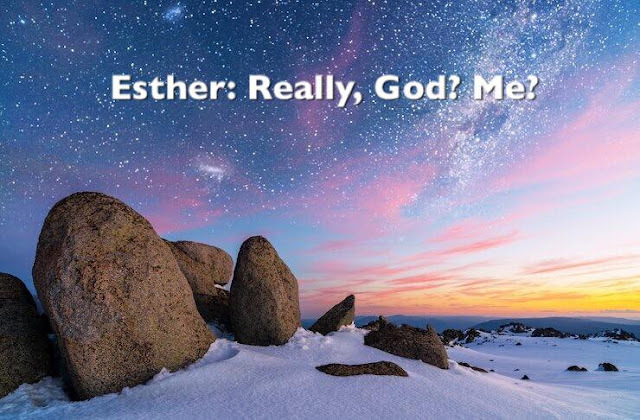 Trivia: Esther is the only book in the Bible that made no mention of God. Gasp!! Really? Yes! So who is Queen Esther and what makes her so special? When I read Esther's story, it reminds me of a Disney movie -- the plot and the characters are all there -- a simple Jewish girl, a coronation waiting to happen, a supportive cousin, an arrogant villain... and in the thick of it all, is a God that weaves everyone's story to showcase His power and glory to save His people. "Now there was in the citadel of Susa a Jew of the tribe of Benjamin, named Mordecai son of Jair, the son of Shimei, the son of Kish, who had been carrier into exile from Jerusalem by Nebuchadnezzar king of Babylon, among those taken captive with Jehoiachin, king of Judah. But her true identity was so much more than her social status. It was during that time that the king was looking for a new queen because the old queen disobeyed his orders. And so the king issued a search to be made for beautiful young virgins for the king. And when it was Esther's turn to see the king, she won the king's favor and approval and she so she was crowned as the new Queen. "So Esther was taken to King Ahasuerus to his royal palace in the tenth month which is the month Tebeth, in the seventh year of his reign. The king loved Esther more than all the women, and she found favor and kindness with him more than all the virgins, so that he set the royal crown on her head and made her queen instead of Vashti. So from being a Jewish orphan girl, she was now hailed as Queen Esther. 1. God sees past your mistakes, your insecurities and weaknesses. This story is very close to my heart because this was the musical play that revealed who Jesus is to me. I was in 2nd year high school when I volunteered to be part of the play (you know that it can only be God when I am not musically inclined at all, so to be accepted for it really has God's hand written all over it. lol!). And I was such an insecure girl when practice started but by the end of the rehearsals, He revealed to me who He is. And from being an insecure and bratty girl, I remember that I only had 1 prayer before the curtains were lifted before the first show: for even just one person in the audience to know Jesus as their personal Lord and Savior. We have a way of getting ahead of ourselves and we plan this and that given our circumstance, but God is so much bigger and more powerful so we always have to ask God, "Lord, what are Your plans for me?" no matter how far-fetched or impossible those things could be! Do you think Esther would have thought that she could be a Queen when she was a child? God's plans are so much better than what we could come up for ourselves! 1. What are your insecurities and weaknesses that make you doubt if God can really use you? 2. Spend time asking God to take those thoughts captive and to replace it with thoughts of who you truly are in God's eyes.